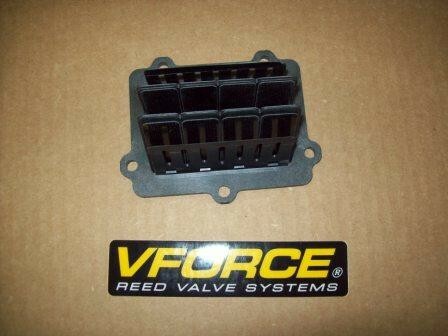 New aftermarket V-Force 3 Reed Cage Assembly. This reed valve spacer moves the reed valve further from the cylinder. This typically gives the bike more low end power. It will also help if your air boot has shrunk and the carburetor needs to sit further back. Struggling to find the right jetting specs for your Yamaha big bore? 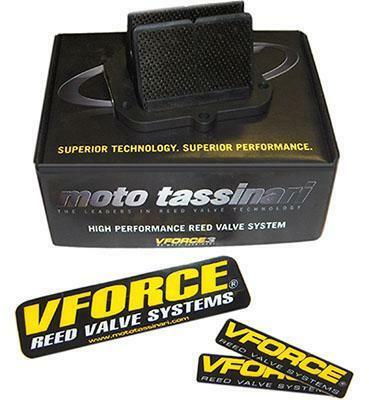 This reed cage helps clean up the troubled stock power band and increase power across the entire RPM range. It did wonders on our 1981 YZ 465. 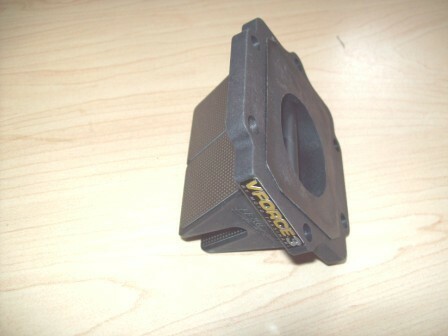 New aftermarket V-Force 3 Reed Cage Assembly. Great boost across the entire power band!